In just one day, four men tagged in drug-related activities died on the spot after they were shot by suspected riding in tandem in Davao City. A report published on the Brigada News Davao Facebook page identified one of the fatalities as Magdaleno Leprado, who was jailed for involvement in illegal drugs but has bailed out. He was gunned down inside an internet cafe at Hope Street, Don Julian, Barangay Ma-a on Wednesday. Meanwhile, three others were also shot dead at UIC Road in Bajada, Davao City on same day. They were identified in a separate report as Veejay Calacat and Mike Joseph Lee, both 21 years old and residents of Barpa, Agdao; and Roger Rick Mora from Isla Verde, Barangay 23-C.
A neighbor who requested anonimity told the media outlet that the young men were involved in robbery and selling of prohibited drugs. In fact, one of them was imprisoned for a drug case, the source reportedly said. 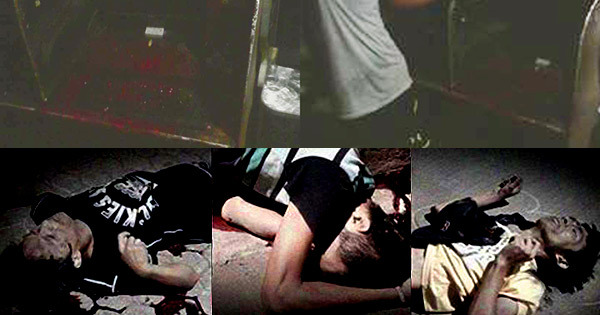 Police downplayed reports linking the vigilanted group Davao Death Squad (DDS) to the killings.